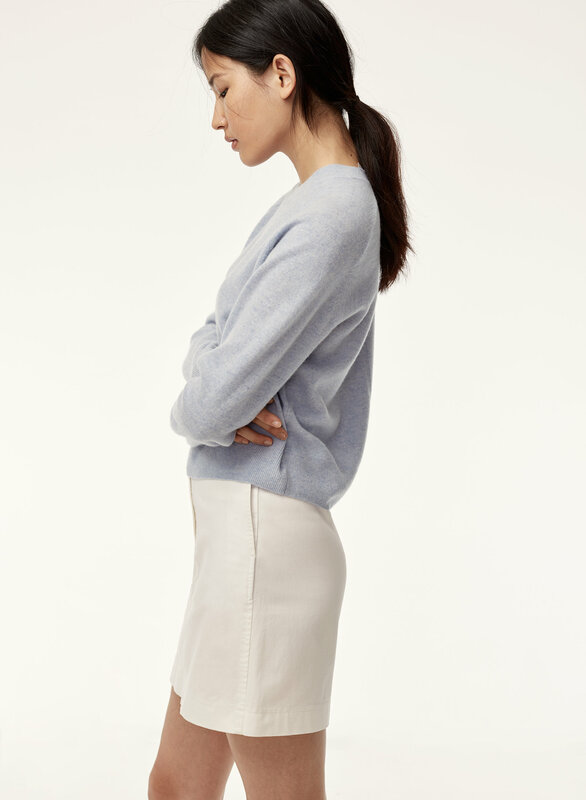 Styled with luxe cashmere crew . 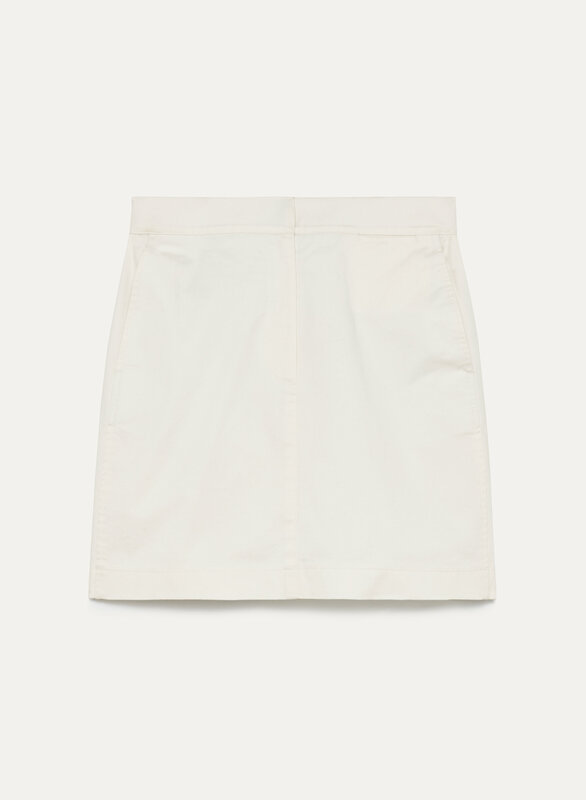 This mini is made from stretch cotton twill that hugs your body comfortably and keeps its shape with wear. 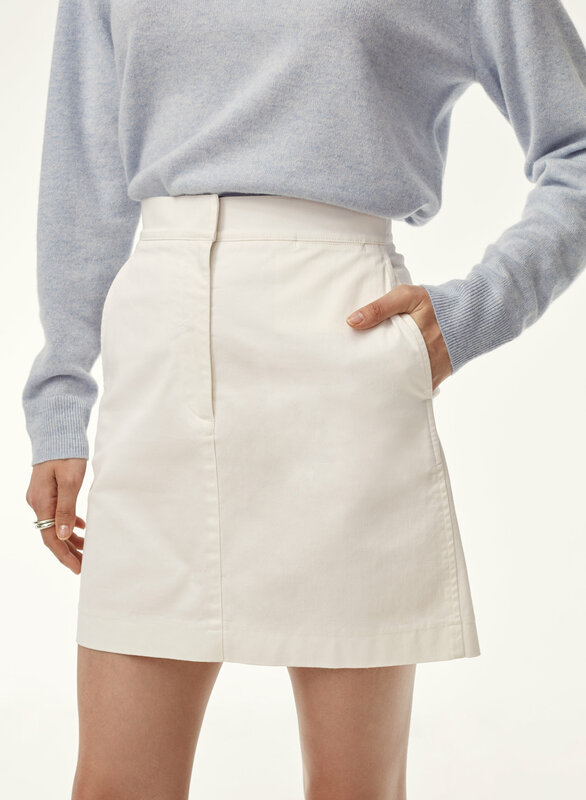 Utilitarian detailing gets a minimalist update with inseam pockets, while darting at the waistband ensures a flattering fit.